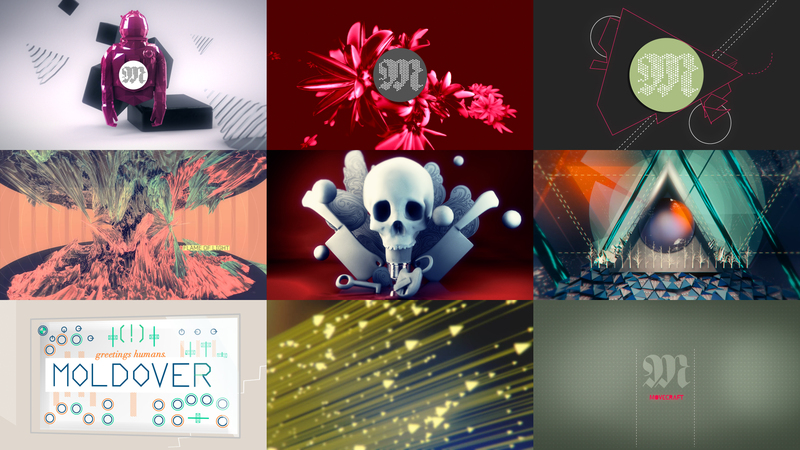 Download every source file from every project showcased in the movecraft demo reel. Learn, remix, and share. For my demo reel, I’ve “open sourced” the work and provided all source files for download. It is an exciting prospect for me to provide these files for the benefit of anyone who is curious. Please support this project by following me on twitter, or liking my Facebook page. I went through a hard drive crash a few years back. I lost many source files. Like a box of old junk that you pack up and move from one apartment to the next, It occurred to me I didn’t miss the files all that much. Just as a painting you own does you no good sitting in your basement unseen, your source files don’t do much backed up on a hard drive. The majority of the source files are found in the Source Files Part 1 & 2 links above, which download a directory and include Adobe files (AE/AI/PSD) as well as Maxon Cinema 4D files, along with a few VDMX5 files. Newer files are at their respective project pages on my site. 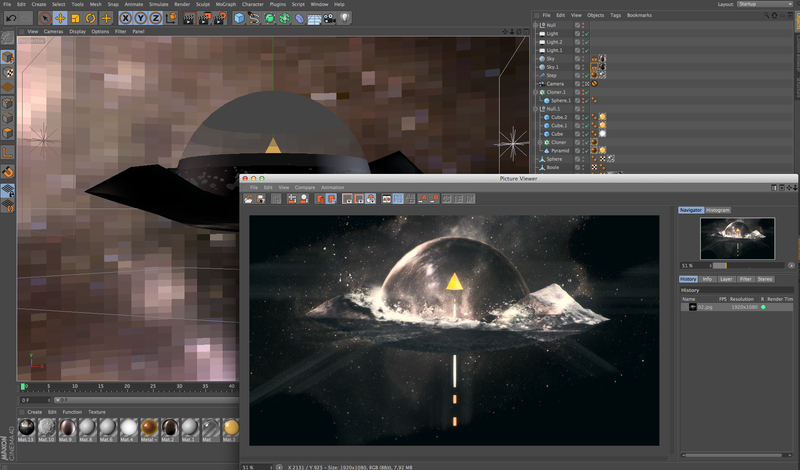 Many render passes, source textures, and final outputs have been excised for the sake of file size. I’ve attempted to include files of interest or items I thought might be resourceful. Various 3rd party plugins are used in a variety of files so you may need them to view or use some functionality. The demo reel is an After Effects project file. It has an intro and outro which include the animation and design work in that After Effects project. It is my intent that you use these files as a learning resource. You are free to use the project files in your personal or commercial projects, but please do not resell, repackage, repurpose, or break apart this package in any way. If you use the files, please credit or provide a link to “www​.movecraft​.com” in some way. When in doubt, contact me. The majority of the files use Adobe, MAXON, Apple, and VidVox software. Most of the additional musicians and artist contributions have given permission to be included in this download have been credited with linking URLS. I encourage you to explore the work of these generous artists: Edison, Nonagon, Dust Red Skies, Phosphorescent, Moldover. The Phillip Glass original piece Knee 3 and Nosaj Thing remix is sampled in the demo reel. The daily render series includes original design visualizing the following works: Clarke, Arthur C. The Sentinel, Kultur Shock Build a Wall, Argo, Beasts of the Southern Wild, Les Miserables, Zero Dark Thirty, Dawkins, Richard Unweaving the Rainbow. That work is copyright those respective artists. Some of this work is promotional for the University where I instruct. All copyright for the name and identity is held by this entity. Please find out more about our program. The act of you downloading this package frees any of the copyright holders, artists, www​.movecraft​.com, Colin Evoy Sebestyen, any associated entities or affiliated parties any personal liability. These files are provided “As Is” with no warranty or responsibility implied for possible damage incurred on your personal project or equipment. The files come with no obligation from the part of the creator in regards to technical support.